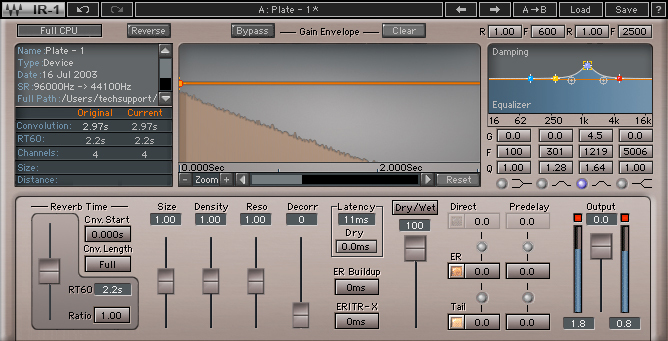 IR-1 Convolution Reverb, Software convolution reverb from Waves in the IR series. 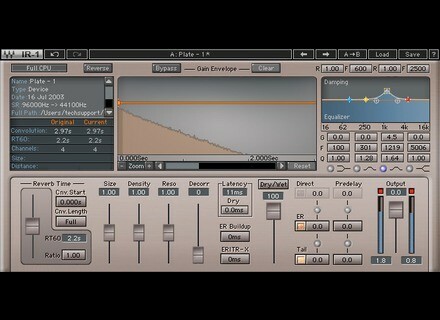 Today only, Waves' IR-1 Convolution Reverb is available for the special discounted price of $29. Today only, the IR-1 Convolution reverb plugin is available for $29 instead of $249. It comes with over 100 impulse responses of spaces and devices. This offer is available at Waves' website and participating authorized dealers. Toontrack introduces Traditional Country EZX Country Month continues at Toontrack and this week's new release is Traditional Country, a new EZX library for EZDrummer 2 and Superior Drummer 2. Audified introduce inValve 2 effects Audified has released the second generation of its InValve effect suite including models of valve preamp, EQ and compressor. Waves releases Reverb Plates Recently announced at the NAMM, Waves' plugin modeling of Abbey Road Studio's reverbs is now available.